ISHR promotes and supports the mandate and work of the UN Special Rapporteur on human rights defenders; and fosters the development and implementation of specific regional protection mechanisms and human rights systems, e.g. the African Commission on Human and Peoples' Rights, Inter-American Commission and European Union. 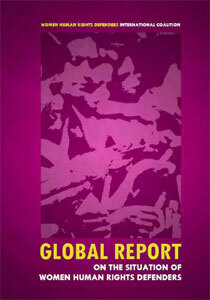 ISHR promotes the strengthening of active and sustainable networks of human rights activists. We facilitate the organisation of international, regional, and national consultations on the promotion and protection of human rights defenders, with non-governmental organisations (NGOs), national human rights institutions, and other stakeholders. We also work with with these groups to raise awareness of issues affecting human rights defenders; provide technical assistance for the implementation of national protection strategies on defenders and the UN Declaration on Human Rights Defenders at the national level; and create opportunities to analyse and respond to new challenges in the promotion and protection of defenders. The pages in this section contain documents and information on the UN Declaration on Human Rights Defenders, on mechanisms at the international and regional level specifically established for the protection of defenders, and on women human rights defenders. You can also find success stories from personal testimonies of human rights defenders that have attended ISHR's various training courses. Visit the pages on capacity building for more information about our training at the international, regional and national levels. ISHR is one of ten human rights organisations on the jury of the the Martin Ennals Award for Human Rights Defenders, which aims to encourage defenders who are at risk and in need of immediate protection.